The juxtaposition of headlines this morning was strange but telling. On page one of the Sacramento Bee, under the heading of “Tourism,” was the story of Virgin Galactic, a travel company that expects to offer 2.5 hour rides into space, starting as soon as next Christmas, for a mere $200,000. You might want try to lock in your price now, before it goes up. Buried back on page seven was this headline: “Risk of showdown with Iran escalates as oil prices climb.” According to Andrew Bacevich, in a 2008 interview with Bill Moyers, we can expect a constant string of oil crises; the choices we make as a nation make them inevitable. There’s a price to pay for cheap space travel, among other things. 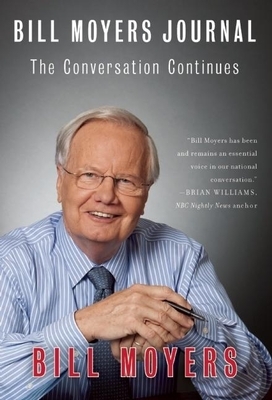 Bill Moyers 2008 interview with Bacevich is published in, Bill Moyers Journal: The Conversation Continues, (2011). In the preface, Moyers says, “Our finest warriors are often our most reluctant warmongers.” Bacevich is a West Point graduate and Vietnam veteran who retired as a colonel after 23 years in the military, to teach history and international relations at Boston University. Bacevich’s son, Andrew, died in Iraq in 2007. Bacevich is the author of several books, including the best selling, The Limits of Power: The End of American Exceptionalism (2008). To our list of wants we can now add, “affordable” space travel, with its guaranteed 5.5 minutes of weightlessness. As an ex-miltary officer, Bacevich points to the dark side of this, something you never hear in presidential debates, and don’t often see anymore on the front page of the paper. 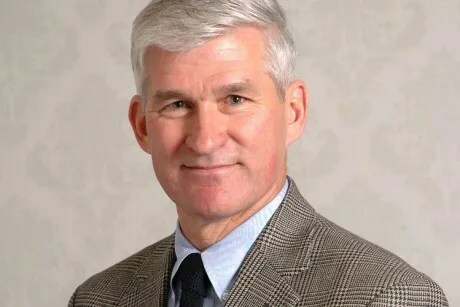 You can read the full text of the interview with Andrew Bacevich in Bill Moyers Journal, along with many other provocative talks with thinkers and artists across the spectrum of contemporary life. This entry was posted in Books, Culture, Current Events, Economics, Politics and tagged Andrew Bacevich, books, Culture, current events, economics, history, politics. Bookmark the permalink. Great, thought-provoking post. Thank you. Wisdom indeed from the reluctant warrior. Self-indulgence with exemptions from the consequences has become engrained in American life, from the highest levels addressed by Bacevich, to the countless individuals who blame everyone and everything except themselves when things aren’t exactly as they believe they deserve them to be. One possible solution: a resurgence of gratitude. True gratitude for what we have can help negate the endless greed for more. Hi Amy. I thought about “Petroplague” and peak oil as I was working on this post. It helps too, when positive choices begin to make economic sense – witness the resurgence of American car manufacture after it retooled to make smarter vehicles. These days you see a lot more hybrids on the roads. That in itself is really positive, since one of the other points Bacevich made in the interview had to do with the nation’s transition from producer society to consumer society, in the early 70’s. When institutions are set up to motivate people to be consumers, it takes an extra bit of mindfulness to be content with what you have. Still, as you say, gratitude is a wonderful practice, something I try to keep in mind, especially through the holidays and the new year. Lots to think about here. I must admit I think more and more about how attractive isolationism becomes at times like these. Of course, that’s completely unrealistic, but attractive nonetheless.